Showing recent results 361 - 375 of 4490 products found. 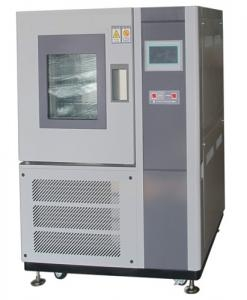 Our Freezing Tester units are available in vertical or horizontal configurations are used to test the bending/flexing durability of rubber, plastics, synthetic leather, shoes, etc., under cold temperatures as low as -30°C or -70°C depending on the selected model. The test chambers can be equipped with a variety of flexing/bending fixtures made of stainless steel. These models conform to ASTM D 1790, and ASTM D1593 standards. 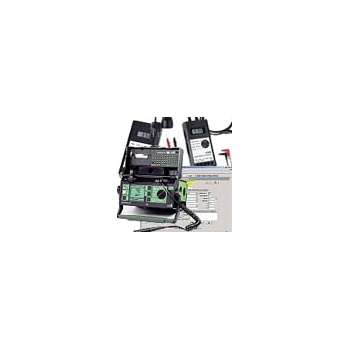 USTER TESTER 6-C800 - Uster Technologies Ltd. 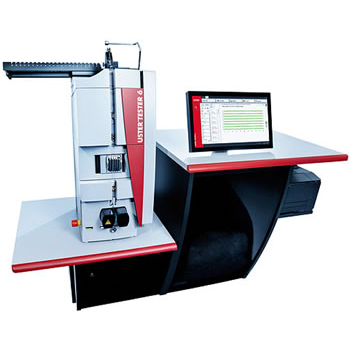 The USTER TESTER 6-C800 is ready for the most demanding technical textiles applications. The amazing diversity of technical textiles applications is matched by the wide variety of quality characteristics needed in the raw material used so filament yarn producers know they must work to the most stringent specifications and standards. Quality failings, especially in the critical parameter of yarn evenness, can be expensive, but the USTER TESTER 6-C800 provides fast, accurate testing to the tightest tolerances, protecting filament producers against customer complaints and claims. Raw materials for technical textiles cover a wide range of end-uses and performance requirements. Viscose fibers, for instance, are found in lightweight blouses as well as in wire cording and high-speed car tires. Polyester, common in low-price clothing, is also transformed in special high-tech versions, for sophisticated sportswear and outdoor clothing. Countless other examples of technical applications for filament yarns span sectors such as medical, industrial, transport, engineering and protective clothing. Despite this variety of products, there is one fundamental requirement which is common to all: the absolute need for yarn evenness, measured to close tolerances, to ensure that the functional and aesthetic properties of the finished article achieve the high quality standards that customers demand. Premier II - Radiant Technologies, Inc. The Precision Premier II, is one of Radiant's most advanced test systems. 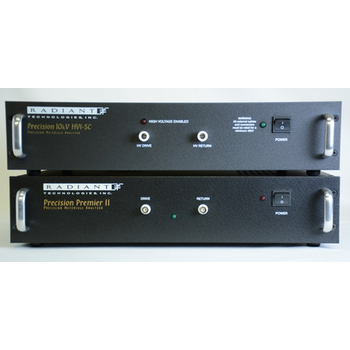 The Premier II has the large envelope in terms of frequency response, voltage range, and accuracy of any ferroelectric tester in the world. Vision Software is provided with the Premier II Test System. Vision uniquely allows the user to construct complex or simple programs with any number of tests to characterize all aspects of the sample in one execution while keeping track of the measurement results and the history of the sample being tested. Tasks such as Hysteresis, I/V, C/V, PUND, Waveform, Magnetoelectrics, Piezoelectrics are just a few features to choice from. 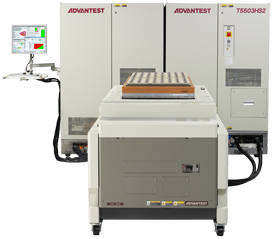 Advantest’s T5503HS2 is designed to provide test solutions for this new wave of memories as well as existing devices. It is capable of testing at speeds up to 8 Gbps with overall timing accuracy of ±45 picoseconds. Leveraging its 16,256 channels, the highly versatile system achieves the semiconductor industry’s highest parallelism and best cost efficiency in testing next-generation LPDDR5 and DDR5 SDRAM devices while also allowing users to continue testing today’s DDR4 ICs, LPDDR4 devices and high-bandwidth memories. When equipped with an optional 4.5 GHz high-speed clock, the new tester has the scalability to handle future memory ICs with data rates exceeding 8 Gbps. 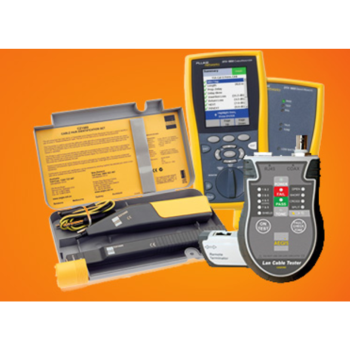 Enables you to test your wiring and connections at installation or after maintenance, and is a great Cat 5, Cat 6 and Cat 7 cable tester, making it one of the most convenient tools on the market. With the press of a single button you can automatically run a barrage of tests, including tests for Continuity, Opens, Shorts, Crosses and Splits. You can also identify which pairs require correction; The unit will scan all combinations without you having to do anything other than initiate the test. Even cable shield is tested for continuity! And it tests for all these at lightning speed, saving you as much time as possible. 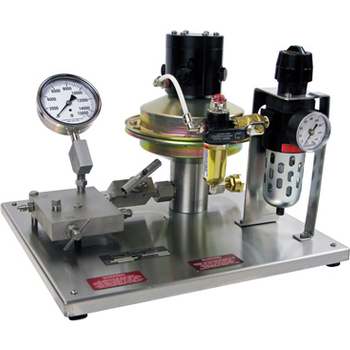 Hydraulic Technology Inc. has been manufacturing hydrostatic test equipment to the U.S. Military, aerospace and industrial sectors for over 25 years. These hydrostatic test systems are used for both high pressure proof testing and burst hydrostatic testing. By simply connecting one of our hydrostatic test systems to a shop air supply, safe high pressure testing can be accomplished with hydrostatic test output pressures available up to 15,000 psi. 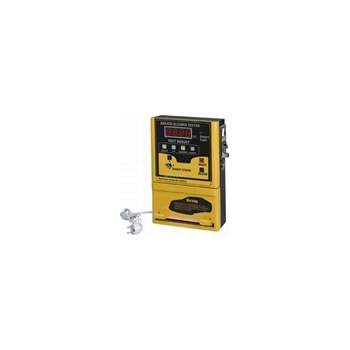 Among other specifications, our hydrostatic testers meet the requirements of MIL-T-25456, A-A-52687 AND PD02LEEE07. 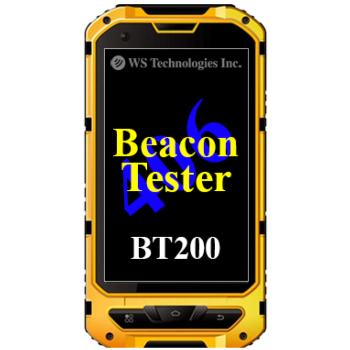 BT200 Series - WS Technologies Inc.
Building on the features of the industry standard BT100, the BT200 offers improved measurement capabilities and in a fully integrated and ruggedized device. The BT200 meets and exceeds the measurement requirements for EPIRBs (IMO MSC/Circ.1039 and 1040) and for ELTs in the USA (FAA Part 91.207), in Canada (CAR 571 Appendix G), and Europe (CAA/EuroCAE requirements). These Beacon Testers in fact form a cost effective solution by eliminating the need for other costly test equipment. Don’t risk incomplete testing of your beacons – use the BT200 to test them thoroughly. In compliance with your Quality Assurance requirements, detailed calibration data is included with each Certificate of Calibration. 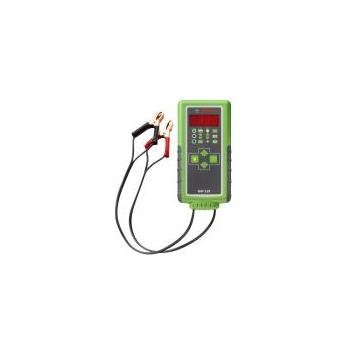 he BAT 110 is a rugged battery tester that uses state-of-the-art conductance technology to provide quick and accurate load-free testing of most types of 12V batteries, including AGM, standard, and maintenance-free batteries. In addition to conductance technology, the BAT 110 incorporates a temperature compensation feature to aid in battery tests results that are extremely accurate. Utilizing the test battery for power (no internal batteries to worry about), the BAT 110 can test batteries that are as low as 5.5 volts. As a voltmeter, the BAT 110 has a test range of 5.5V to 19.99V. 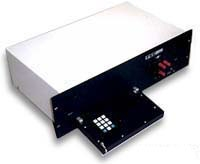 The battery cold cranking amp test range is from 200 850 CCA. 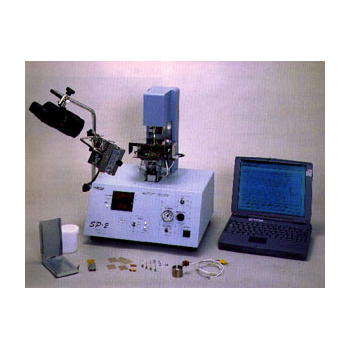 The Malcom SP-2 Wetting Tester helps to test the wettability of solder paste and components while actually simulating the SMT mounting and reflow process. The SP-2 simulates the actual temperature that solder paste undergoes during preheat and reflow, letting you easily identify any deficiencies in flux activity or components wettability. Measurement of the solder paste wettability, components wettability, printed board wettability, wettability on temperature rise, and wettability on preheating time. By actual simulation of the SMT mounting and reflow process with standard variable, it is possible to develope an accurate, repeatable evaluation method to determine a solder paste''''s solderability. 1.IPC Tester ,Support H.264/H.265 4K HD IP Camera.2.POE 48V Power Output,Max 24W;3.Support ONVIF, dahua, Hikivision, ACTi,samsung IPC.4. 4.3 inch 800*400 capacitive screen, image display more clearly;5.Built-in WIFI function,can test the Wi-Fi IP Camera;6.Support IP PTZ control functions (ONVIF).7.Support DC12V1A power supply output.8.Support Audio input test.9.Support 4K HD video files and Screen projection function. 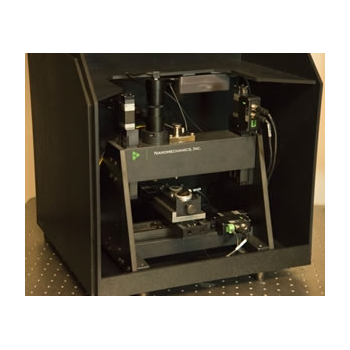 The iMicro brings all the advantages of nanoindentation into the field of microhardness testing so that any laboratory can measure microhardness with unparalleled speed, accuracy, precision and simplicity, and with the lowest cost-of-ownership on the market. The iMicro is positioned to revolutionize industrial quality-control microhardness testing. With just a few mouse clicks, the operator sets up hundreds of tests on multiple samples. And because modern indentation standards (ISO 14577 and ASTM E2546) prescribe the calculation of Vickers Hardness, Knoop Hardness, and Young''s modulus without imaging the hardness impression, all tests are completely automated. From sample installation to the final report, the entire process is radically faster and easier than what most people expect from a microhardness tester. The up-time requirements of industry are met through a robust, user-friendly design, and Nanomechanics'' unparalleled technical support. Electrochemical (fuel cell) alcohol sensor, Module changeable Test Range: 0.000-2.000mg/l (0.400%B.A.C; 4.000%oB.A.C; 4.000g/l;) Alarming level: Pass level: 0.090mg/L (could be modified) Fail level:0.250mg/L (could be modified) Accuracy: +/-10% Work temperature: -10oC-50oC Work humidity: <95%RH (No Dews) Battery: 2XAA NiMH batteries, rating capacity: 2.1AH Dimension lXbXh: (mm) 250X105X400 Indication manner: mg/l,mg/100ml,g/l ,%BAC,%oBAC optional Coin for single time: 0-15 (For 0, the tester can be tested without coin). Coin diameter: 20mm-28mm Coin thickness: 1.2mm-2.5mm Coins Capacity: about 200 pieces Straw capacity: 200pcs(⊄<=7mm) Breath sampling time: about 5 seconds continuous breath. The full advertised word for PAT testing is “Portable appliance testing”, but it is known as PAT testing. PAT testing is a process by which electrical Pat Tester appliances are routinely checked for safety. The test involves a series of inspections and electrical tests on each item. These PAT tests vary depending on the class of the item. Class I has a single insulated wiring, which requires an earth connection. There is no symbol for a Class I product so if a rating plate has no symbol on it then it is usually Class I. Class II has a double insulated wiring, therefore no need for an earth lead. Class II is indicated by double box. Class III – These are appliances that are supplied at a low voltage (usually called Separated Extra Low Voltage) which must be less than 50 V. These appliances are supplied with a transformer supply that is also marked. 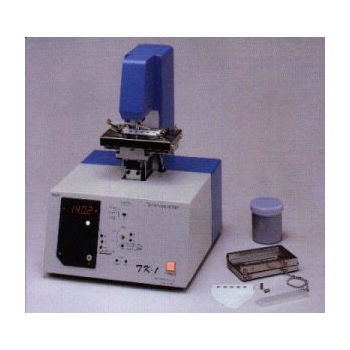 The Malcom TK-1 Tackiness Tester is widely used to help our customers predict solder paste tack time, limiting the potential for dropped components, using either the IPC, Depth Method, or JIS Standard Test. These three convenient testing methods for tackiness allows you to determine component drop time to loss of adhesion, and thus avoiding costly rework. Tackiness refers to combined force of the cohesion and adhesion. In many cases, chip parts are held on the board by the paste''s tackiness during reflow. It is at this time that defects occur from chips falling off the board; or being displaced by the vibration of the chip mounter after some time has elapsed, since printing or when tackiness is reduced by reflow heat. The VF40CM is intended for testing VF, HALF CYCLE SURGE, and THERMAL RESPONSE/RESISTANCE on small- and medium-power diodes and rectifiers. It can also measure THERMAL RESPONSE/RESISTANCE on NPN and PNP bipolar transistors using an external user-supplied VCB supply.The VF40CM also is sometimes used to measure VZ of low-voltage zener diodes up to the compliance voltage limit of the tester. 20V at 20A is possible.